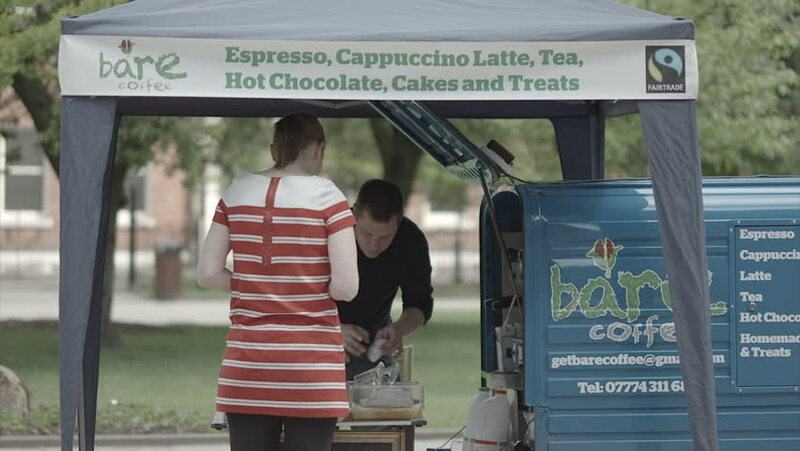 England - CIRCA 2014: Woman paying for coffee at an outdoor pop up mobile coffee shop in park. Filmed at Park Square in Leeds, Yorkshire but could be any UK city. hd00:15England - CIRCA 2014: Man and woman at pop up coffee stall preparing coffee and chatting. Filmed in Leeds, England in the supper at the park.